Lagos, Portugal Tourist Guide - Fully Updated for 2019! 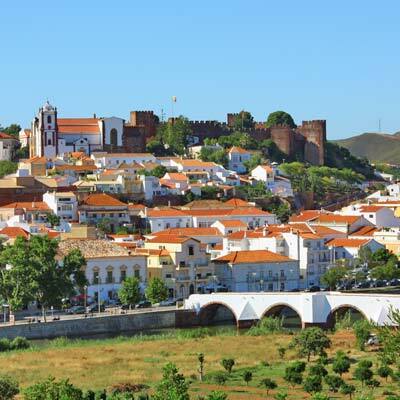 Lagos is a historic and characterful city that is situated on the beautiful Western Algarve. 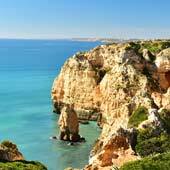 It is a city that boasts a rich seafaring heritage and a coastline of dramatic natural scenery, and today is one of the Algarve’s finest holiday destinations. For a holiday, Lagos offers picturesque beaches, buzzing nightlife and outstanding tourist facilities. Thankfully, Lagos has not succumbed to mass tourism, and the city still retains its distinctive character and charm. Found within the historic centre is a proud Portuguese city, with cobbled streets, authentic restaurants, and an atmosphere which is relaxed and welcoming. 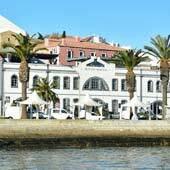 Lagos perfectly combines traditional Portuguese culture, with beautiful beaches and modern tourist facilities. The region surrounding Lagos offers varied and exciting activities, along with many fascinating day trips. If you crave more than just beautiful beaches and glorious weather for your holiday, then Lagos is the ideal holiday destination for you. Lagos is equally suited as a family holiday destination, there are safe and sheltered beaches for your children, while thrill-seeking teenagers will adore the theme and water parks. This article will provide an introduction to Lagos, by answering some of the common holiday questions and providing links to further in-depth guides. What is there to see in Lagos? Lagos’ extensive history is reflected in the varied attractions which are found throughout the city; there are ancient Moorish walls, a 17th-century fort and extravagant Baroque churches. The focal point of Lagos is the pretty harbour estuary, whichand this leads past the small fishing harbour to the modern marina complex. 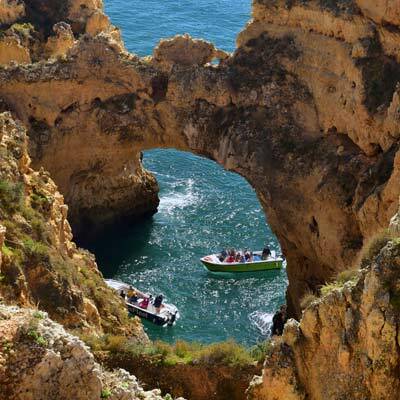 To the south of Lagos is the Ponta da Piedade headland, a series of highly weathered cliffs that are lined with spectacular grottos, arches, sea caves, and are regarded as the finest natural feature of the Algarve. Extending to the east of Lagos is the 4km long Meia Praia Beach, the largest sandy beach of the western Algarve, while within the Ponta da Piedade headland are the picturesque cove beaches of Praia da Dona Ana, and Praia do Camilo. There is a lot to see within Lagos, and the city is one of the most popular destinations for a day trip. How long to spend in Lagos? Lagos is ideal for a 1-week holiday. 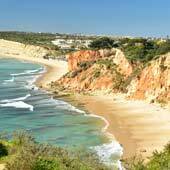 A week in Lagos could combine time on the beaches with excursions to the towns of Sagres, Silves, Praia da Luz and Portimão. As Lagos is a major city, there is a wide selection of restaurants and bars, and it is easily possible to eat (and drink!) somewhere completely different every day. 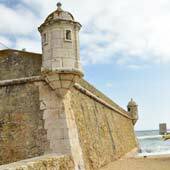 If you are touring southern Portugal, you should plan to spend at least two days in Lagos. 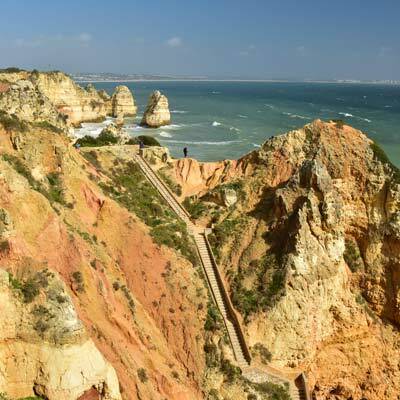 The first day would explore the historic sights of the town and the second day would visit the dramatic Ponta da Piedade cliffs and the beautiful beaches. 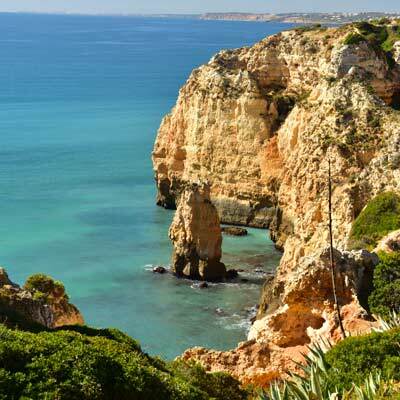 Alternatively, Lagos could be used as a base from which to explore the Western Algarve, as the city is the main transport hub for the region. Who should visit Lagos Portugal? The extensive range of sights and activities means that Lagos is perfectly suited for a range of different visitors, and this includes families, couples or more mature visitors. Visitors seeking a cultural holiday will be impressed by the number of historical monuments and the traditional heritage of Lagos, while younger couples will discover lively nightlife and numerous exciting activities. Advice: Lagos is not suited for groups wanting to drink and party excessively (typically stag or hen do’s), for this head to the Strip in Albufeira. What about Lagos for families? Lagos is an excellent destination for a family holiday. The city boasts a wide selection of family friendly hotels, while restaurants, attractions and activities are welcoming of children. Lagos is more relaxed than other larger resorts, such as Albufeira or Praia da Rocha, and is very safe and tends to be less hectic during the evening. The beaches of Lagos are clean and there are sheltered beaches for swimming or spalshing in, which during the summer, are supervised by lifeguards. Lagos Zoo is great excursions for younger children, and children of all ages will enjoy the dolphin watching boat trips that depart from the harbour. If you are on holiday with older children and teenagers, they will also be fully entertained, as the Algarve offers a diverse selection of activities, which are designed for their age range. The activities include; the waterpark of Slide & Splash, the marine park of Zoomarine and the ropes course at Luso Aventura. 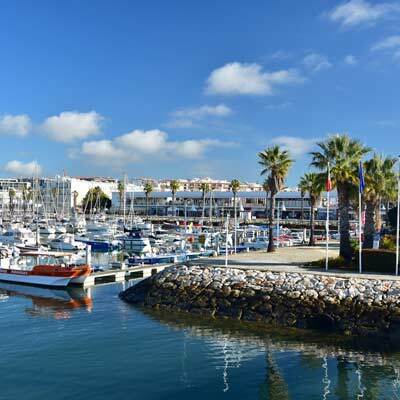 The Algarve and Lagos are experiencing massive growth within tourism; the low-cost airlines are adding new routes to Faro airport, new business are opening, and the peak season is extending. 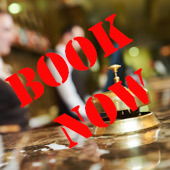 This increased popularity is great for the economy of southern Portugal, but it does mean demand for certain tourist services, especially accommodation, outstrips availability. Our advice to you is, if you are seriously considering a holiday to Lagos, book your flights and accommodation now, as prices will rise and then sell out. 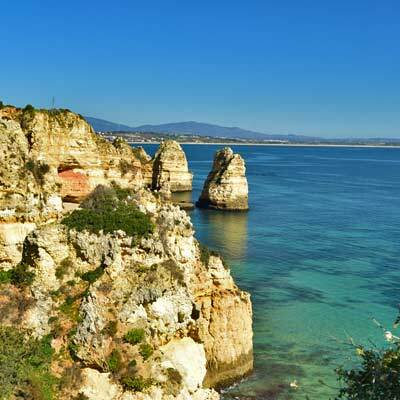 When to visit Lagos and Southern Portugal? 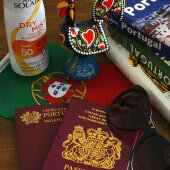 The Algarve is blessed with a glorious climate of hot summers and pleasantly warm springs and autumns. 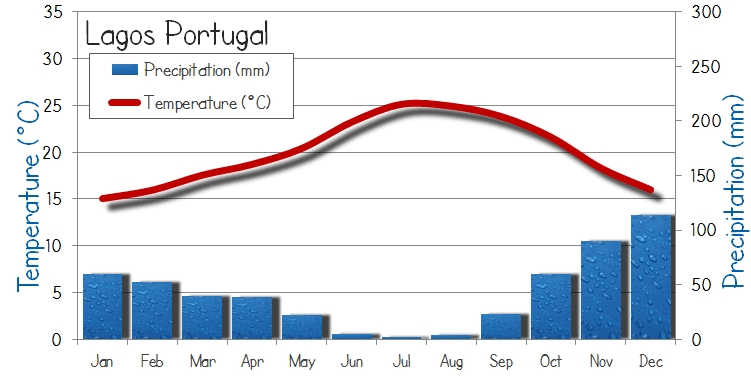 The summer months of southern Portugal are characterised by their hot dry weather, with temperatures reaching a maximum of 35C. The Spring and Autumn seasons are bright and sunny, and the Algarve boasts over 3,000 hours of sun a year (compared to 1,450 hours for London, 1,840 for Paris or 2,150 hours for New York). Temperatures in Lagos are suitable for spending time on the beach from early May through to mid-October. Winters are mild, but the weather can be unpredictable with an equal number of good or bad weather days. Lagos has a large permanent population, therefore most restaurants and bars remain open year-round, while certain tourist services reduce through the winter. The winter is a great time of year for a hiking, cycling or touring holiday. Does Lagos have great beaches? 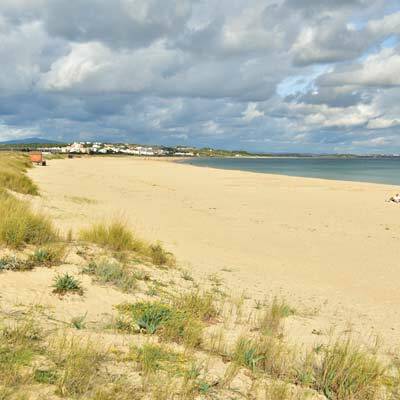 Lagos has some of the finest beaches of southern Portugal and within walking distance of the town are four beautiful beaches. The Meia Praia is a vast sandy beach that extends for 4km, while the Praia Dona Ana and Praia do Camilo are beautiful secluded beaches that are surrounded by golden coloured cliffs and lapped by crystal clear sea waters. On the south-western side of Lagos is the Porto de Mos beach, an area popular with resort hotels and holiday homes, and a great choice if you prefer not to be in the centre of the busy city. The Ponta da Piedade is a series of highly weathered cliffs that form the southern headland of Lagos. The powerful Atlantic Ocean has chiselled stone arches, grottos and sea caves into the colourful golden cliffs, and these cliffs are considered the best natural feature of the Algarve. There are scenic hiking routes along the top of the headland, but a more enjoyable experience is to hire a boat and navigate the unique rock formations. 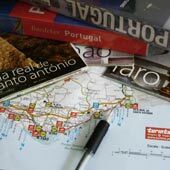 Related articles: Ponta da Piedade guide. What are the best day trips from Lagos? 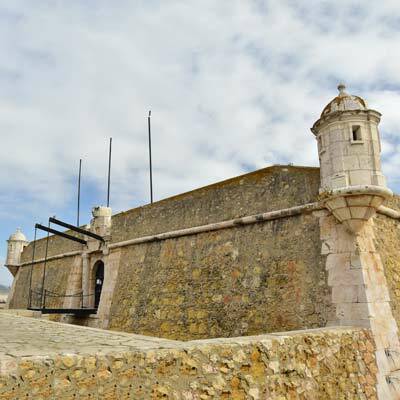 The two best day trips from Lagos are to the historic town of Silves and the surfing town of Sagres. 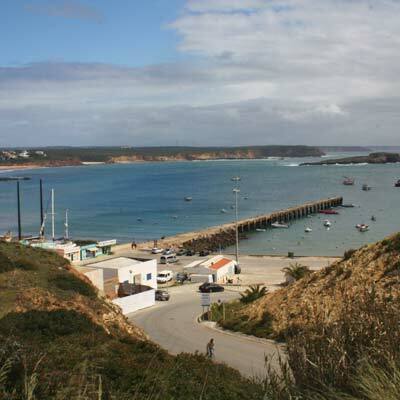 Sagres is at the western tip of mainland Europe and is a region savaged by ceaseless winds and mighty Atlantic seas. The town is a popular surfing destination and is ideal for tourists who appreciate nature's raw power. 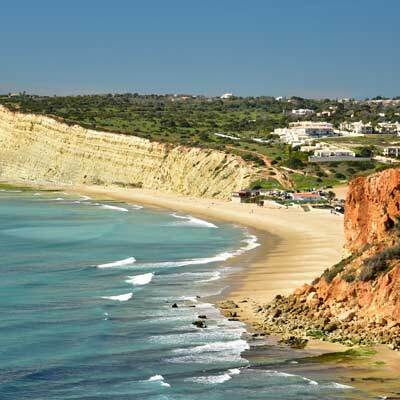 Alternative day trips from Lagos include the peaceful resort town of Praia da Luz, the shopping town of Portimão and the hectic resort town of Praia da Rocha. All of these day trips can be reached by the inexpensive public transport and there is no requirement to hire a rental car while on holiday to Lagos. 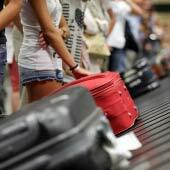 The nearest international airport to Lagos is Faro Airport, which is 90km to the east of Lagos. There are infrequent train and bus services from Faro city to Lagos, but these routes do not pass close to the airport, so a bus or taxi is needed to travel from the airport to Faro city centre. private transfer (€75, 60min journey) is much quicker, whereas a shared minibus transfer (€25, 100min journey) is a cheaper option. Lagos is one of the destinations we strongly recommend organising a transfer to, as public transport is veryso poor and a taxi hailed from the terminal will be very expensive (+€110).